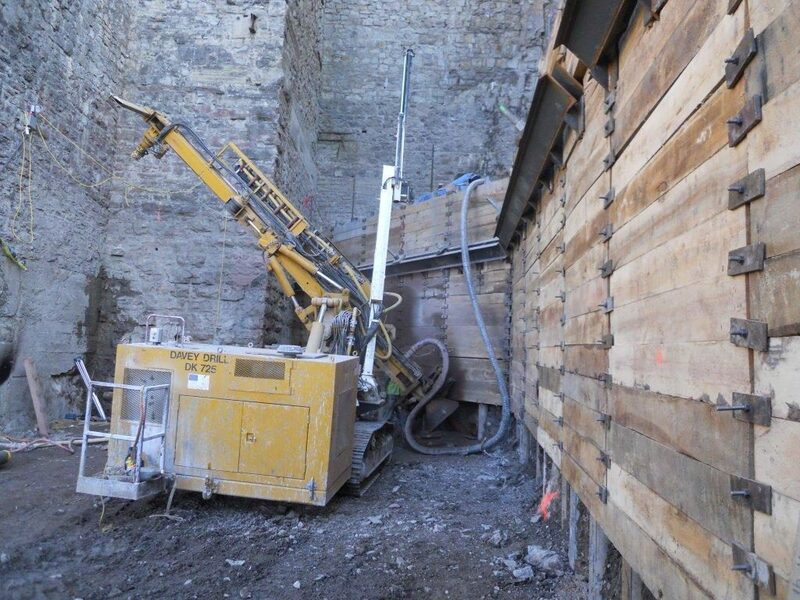 Due to the inherent constraints of the property, construction of shoring wall was required to preserve and maximize the utilization of space on the site. 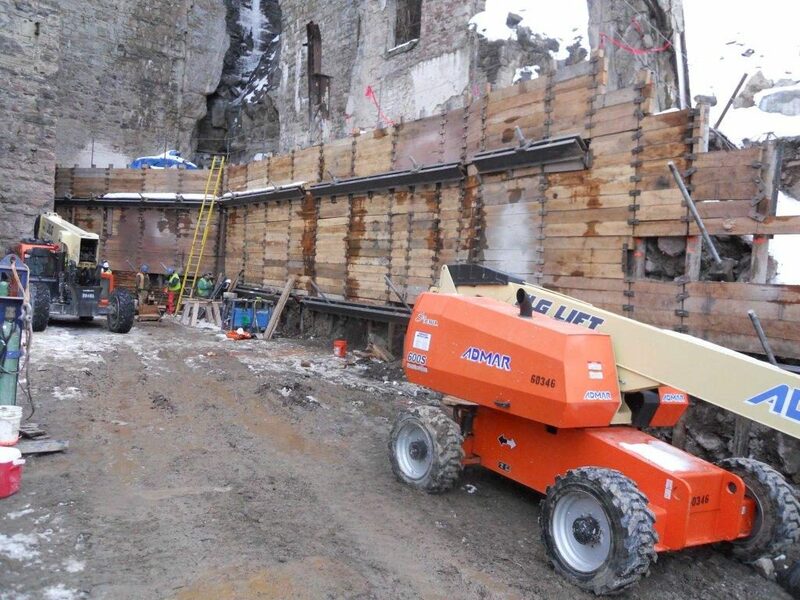 Specifically, the restoration of the historical elevator shaft was of great importance to the project. 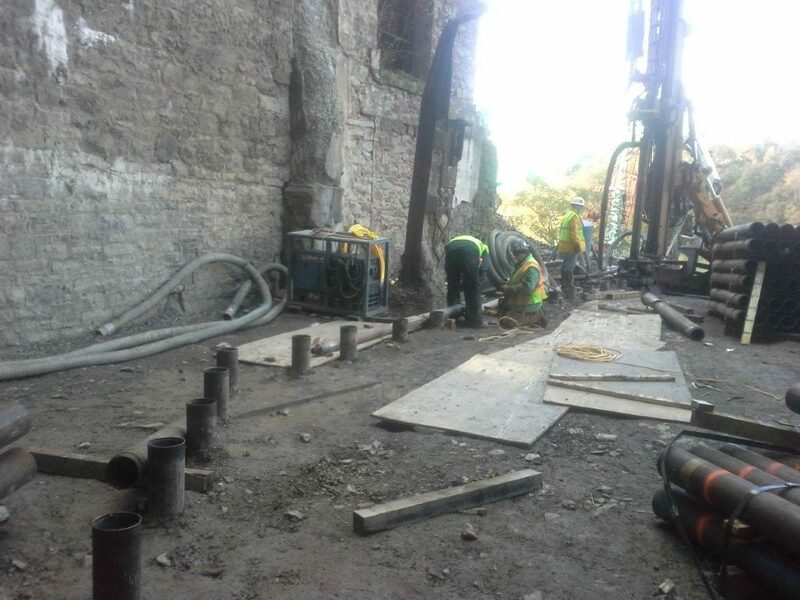 The shaft was to be upgraded and restored to serve as the main conduit for entry to the popular tourist destination. 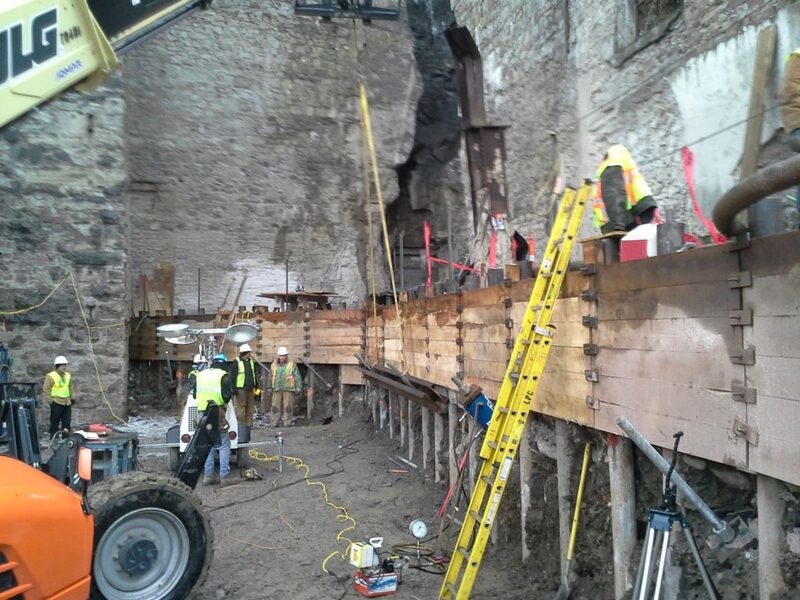 The goal of this project was to provide access and preserve the historical architecture of the site. 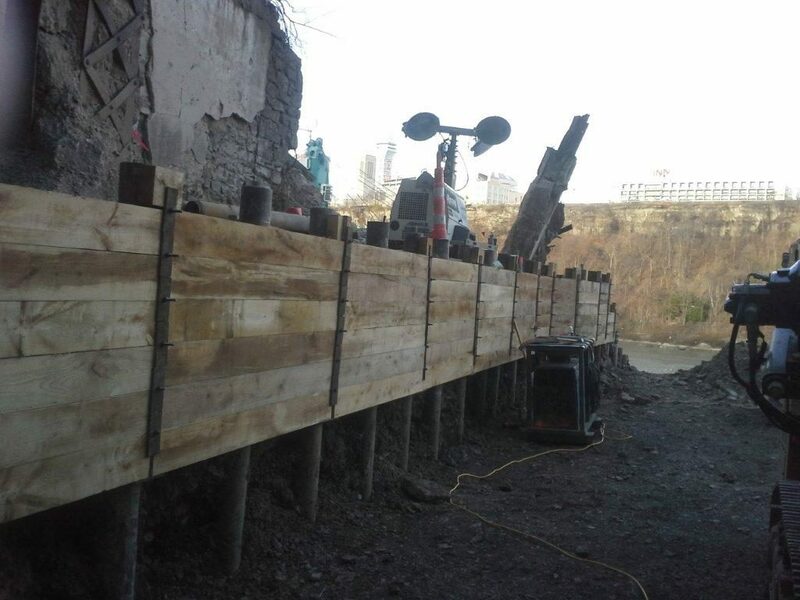 To accomplish this, a soldier pile and lagging wall was designed and installed. 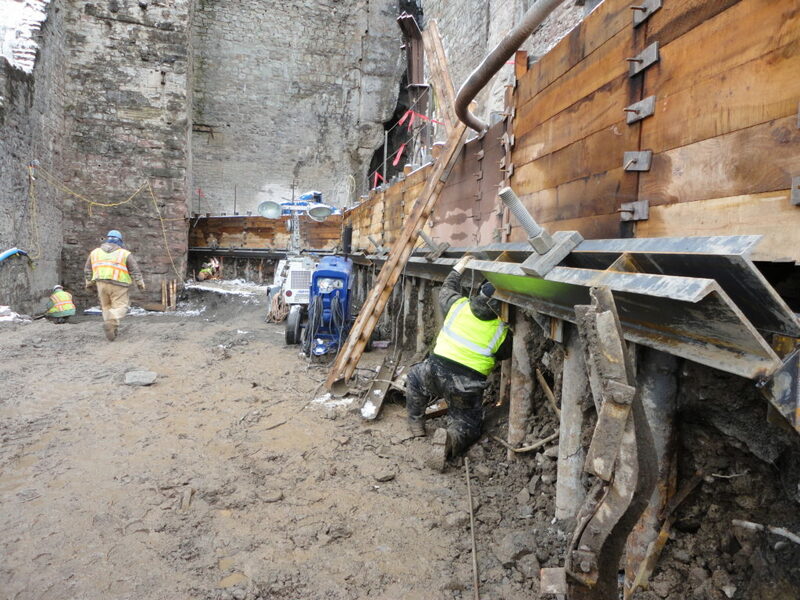 The design engineers were faced with complex geological conditions as well as the historical preservation of the site. 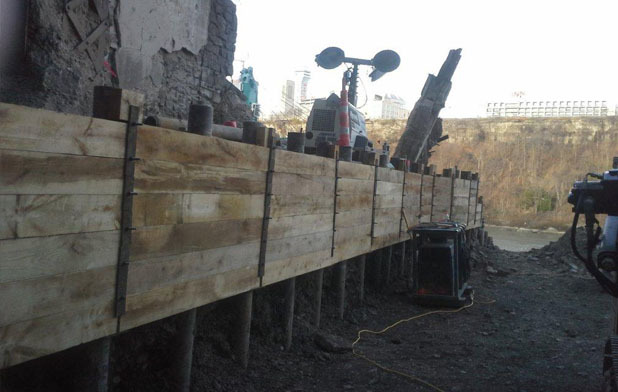 Due to a collapse of a power station originally located on the site, it was anticipated that several obstructions would be encountered while drilling. 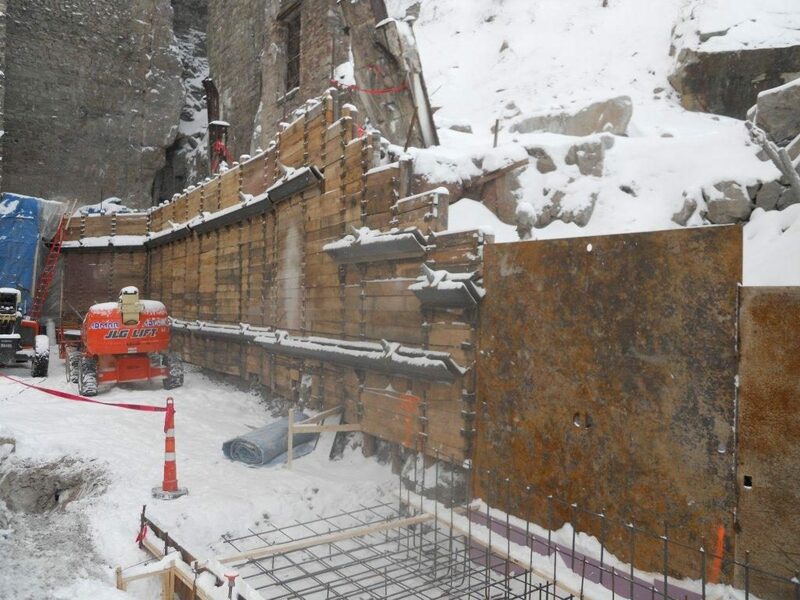 As always, feasibility and the best economic value were considered. 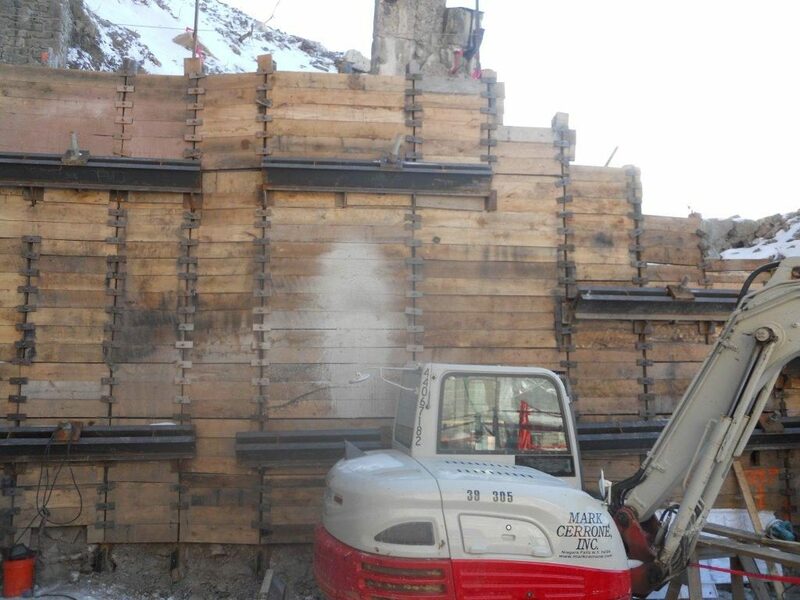 A soldier pile and lagging wall was selected to accomplish the task. 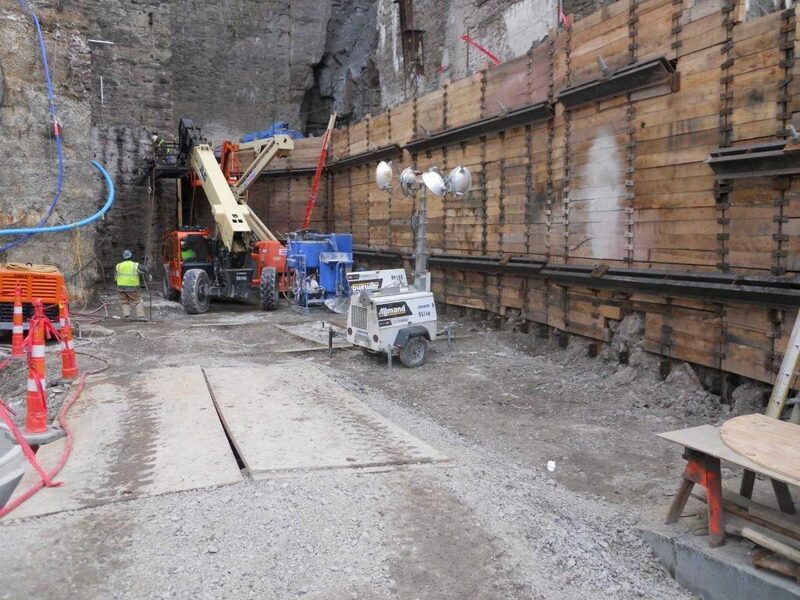 The subsequent project design for the shoring wall called for the installation of 36 soldier piles, 26 anchors and around 2000 ft² of lagging. 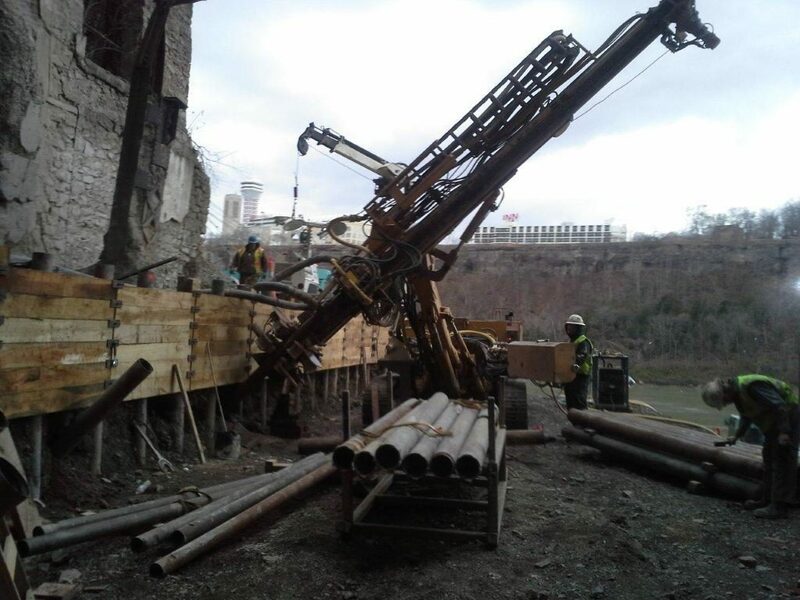 The staging and laydown area was located 200’ above the actual work site. 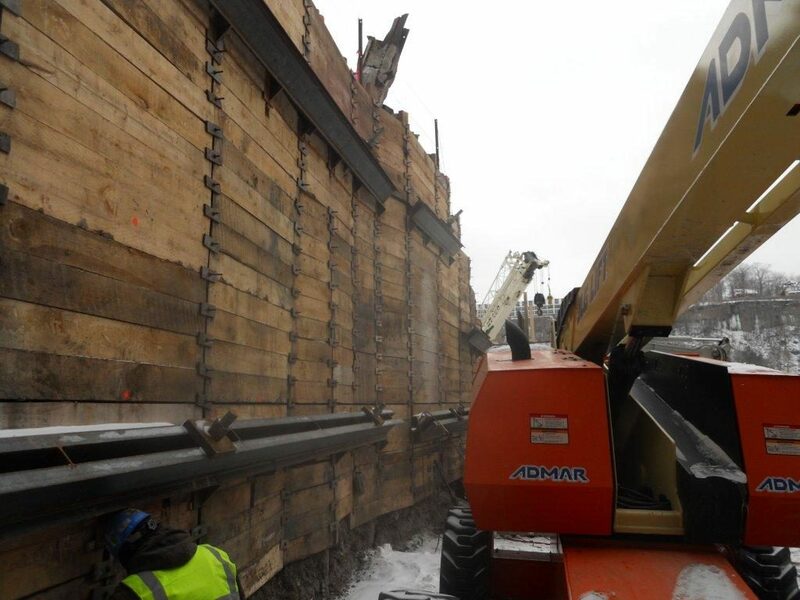 All employees and equipment had to be lowered via crane to the installation area. 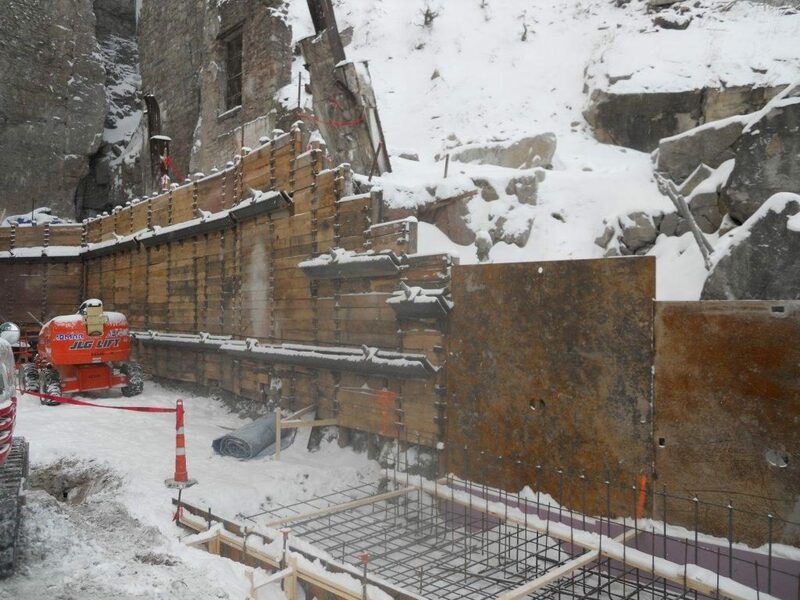 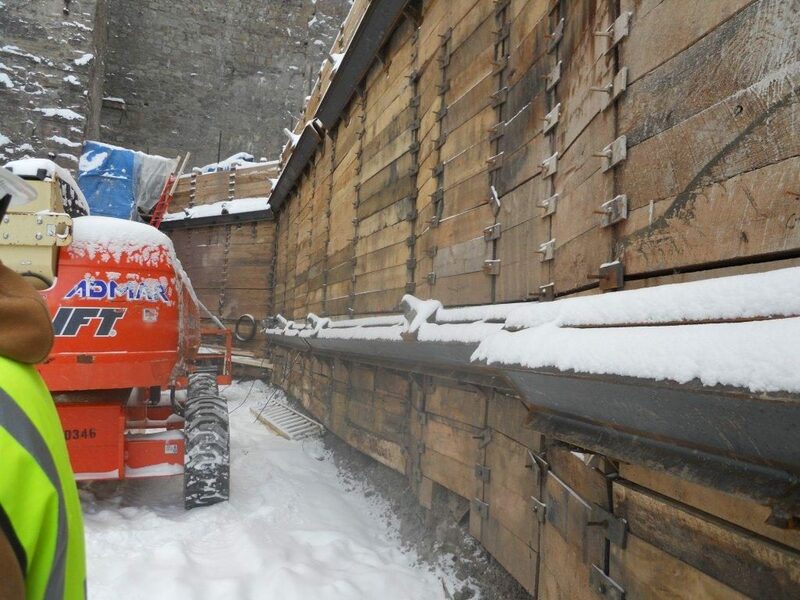 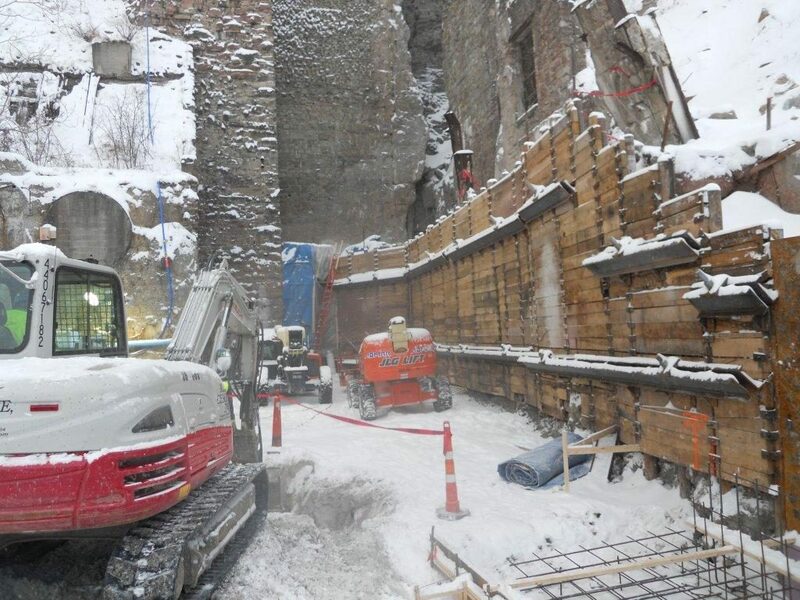 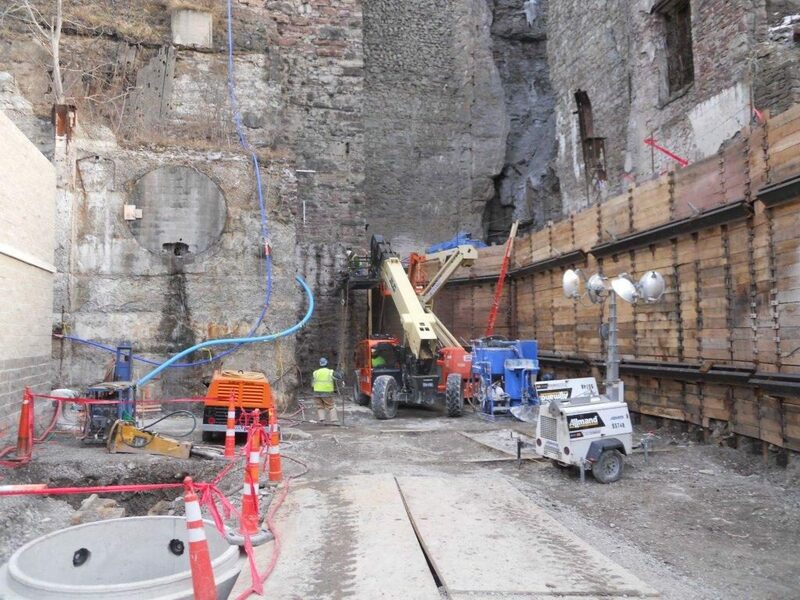 Additional work was performed including: 10 inch rotary core drilling for placement of steel supports in the elevator shaft, Anchors to support a rock fence to protect the new facility from future slides and shotcrete installation for further erosion control. 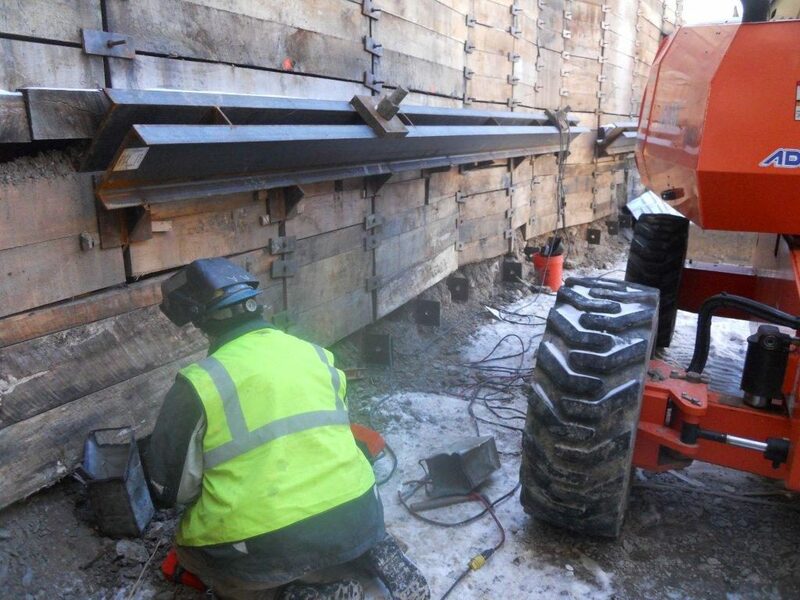 All the tieback anchors were tested and locked off to ensure adherence to design specifications.